The state’s highest court on Monday upheld a state law that forbids people from voting unless they registered 20 days before Election Day, arguing that it does not disenfranchise voters or put up “significant” barriers to the ballot box. The ruling is a setback to efforts to have Massachusetts join other states that allow voters to register closer to Election Day, but it hands a legal victory to Secretary of State William F. Galvin, who had fought eliminating the 20-day deadline. In releasing its unanimous decision, the Supreme Judicial Court overturned a lower court ruling that had deemed the 20-day blackout period “unconstitutional.” The lawsuit — which was brought by Chelsea Collaborative, a social services nonprofit, and MassVOTE, a nonprofit that registers people to vote — had been a flashpoint in the debate over the state’s voting laws, with advocates simultaneously pushing state lawmakers to lower hurdles to voting on multiple fronts. But any change to the 20-day deadline will, for now, have to come from the Legislature after the SJC determined the 25-year-old law currently “does not pose a significant interference” for those seeking to vote. “Because the deadline does not disenfranchise any voter, because the Commonwealth takes sufficient steps to minimize the number of qualified voters who miss it, and because registration itself is sufficiently simple and accessible, we conclude that the deadline does not require the application of strict scrutiny,” Justice Kimberly S. Budd wrote, referencing the legal standard employed by the lower court. But the court cautioned that the Legislature may eventually need to reevaluate the 20-day blackout law, and Galvin himself has said he supports same-day voter registration. Budd noted that lawmakers twice created commissions to study elections laws — including one in 2014 — but neither panel actually met or produced a report. “Thus, we have a concern that, given the passage of time, the reasoned basis for the twenty-day blackout period may need to be reconsidered,” Budd wrote. But Galvin had resisted the decision and appealed. His office said the ruling scrapping the deadline could create “administrative chaos,” and, in a brief, argued that the issue in the case was whether the law, enacted in 1993, was a permissible regulation, intended to promote orderly elections. “The 20-Day Rule is a rational, reasonable, and nondiscriminatory means to advance those goals,” argued Galvin, who was represented by the state attorney general’s office. Legislation establishing same-day registration in Massachusetts has stalled on Beacon Hill this year. But lawmakers have taken other steps: The House last week passed a bill that would establish automatic voter registration, a move advocates say could add 500,000 voters to the rolls in the next five years. The bill would automatically register new Massachusetts voters who get licenses at the Registry of Motor Vehicles and who get their medical care through the state’s MassHealth program. The legislation could emerge as early as next week in the Senate, which would have to pass it and reconcile any differences with the House before the legislative session ends on July 31. It would then need Governor Charlie Baker’s signature to become law. 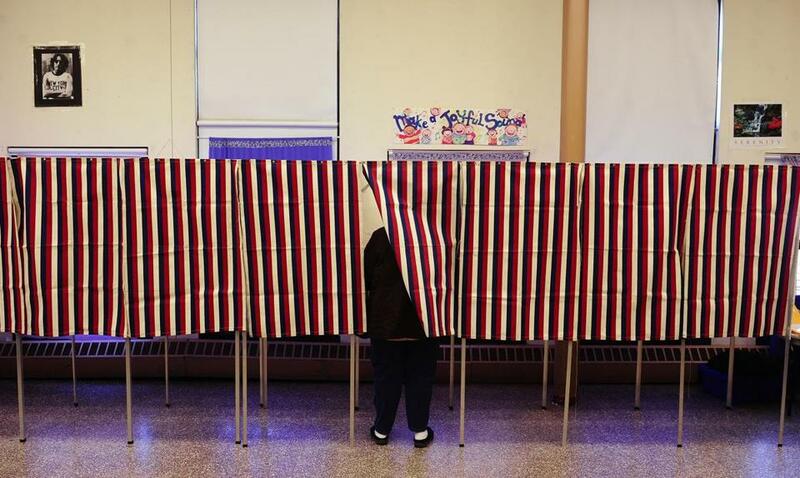 “Automatic voter registration is a vital next step for Massachusetts, and is even more important with today’s ruling,” Senate President Harriette L. Chandler said. While not critical of Monday’s ruling, Attorney General Maura T. Healey echoed the calls for lawmakers to act. “I urge the Legislature to seize this opportunity, starting with Automatic Voter Registration, and by making Election-Day Registration a reality in Massachusetts,” she said in a statement. Even as he fought the decision, Galvin also pushed a proposal to allow residents to register to vote on Election Day. It’s a move he said is “complementary” — not contradictory — to the current 20-day rule, and on Monday, he urged lawmakers to “act swiftly” to address it. The issue has loomed large in the six-term secretary’s primary fight with Boston City Councilor Josh Zakim, who has made barriers to voting a central pillar of his challenge and pushed on the city level for same-day registration. John Ellement of the Globe staff contributed to this report. Matt Stout can be reached at matt.stout@globe.com. Follow him on Twitter @mattpstout.